Myself World Tour DVD: Jolin ranks #4 on G-Music & #9 on 5music! Myself world tour dvd: jolin ranks #1 on 5music and g-music! 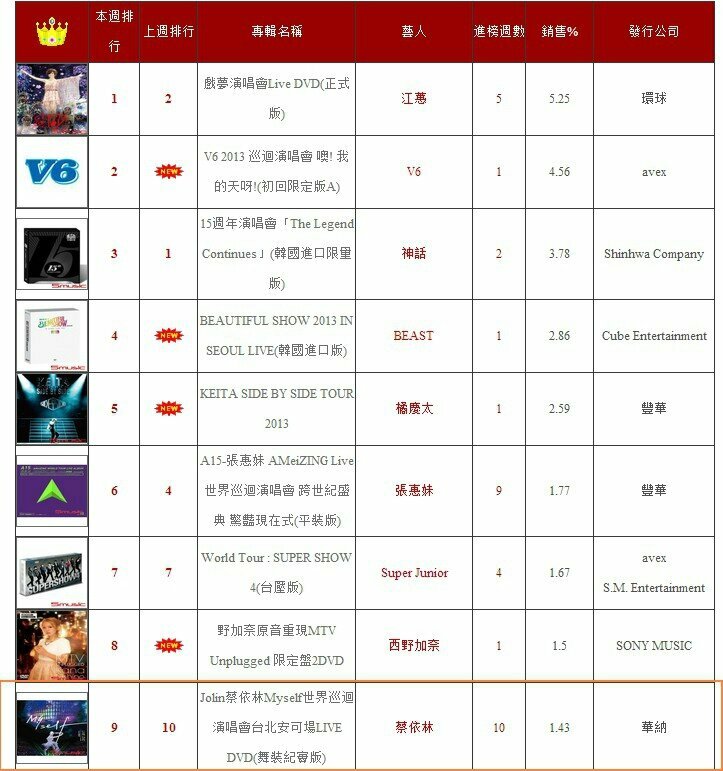 Myself world tour dvd: jolin ranks #2 on g-music and #3 on 5music! Comments on Myself World Tour DVD: Jolin ranks #4 on G-Music & #9 on 5music!